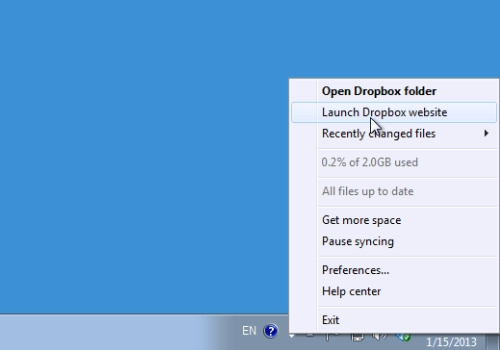 In this video tutorial we will show you how to delete dropbox events. In order to delete dropbox events, right-click on the “Dropbox” icon and choose “Launch Dropbox website”. Click on the blue arrow near your account name. Choose “Settings”. 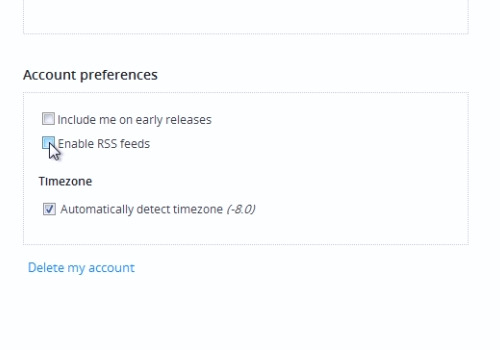 On the following web page, go to the “Account settings” tab. Press “Change settings”. Go to “Events”. Scroll down and choose “Subscribe to this feed”. 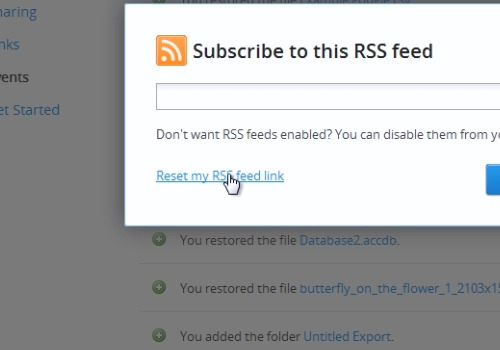 In the popup window click “Reset my RSS feed link”.